…that directs the Secretary of the Interior to turn over management of wolves to the state governments. If these politicians: Senator Barrasso (R-WY), along with Senators Boozman (R-AR), Capito (R-WV), Cardin (D-MD), Baldwin (D-WI), and Klobuchar (D-MN) get their way and turn management of wolves back to states, such as Wisconsin, it’s certain death for wolves. LEAVE ALL THE WOLVES ALONE! NO REASON TO KILL THEM ALL OFF, WE NEED THEM! 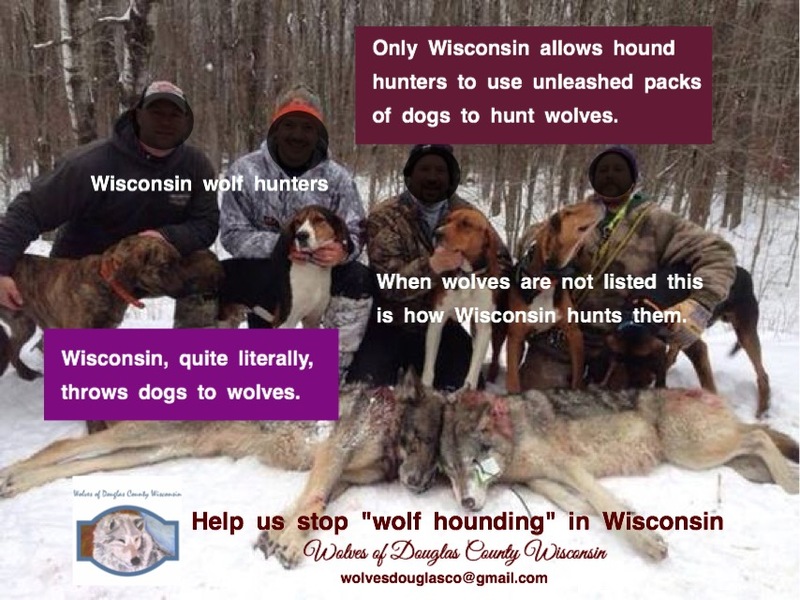 Please take action for wolves by following the instructions in the blog. 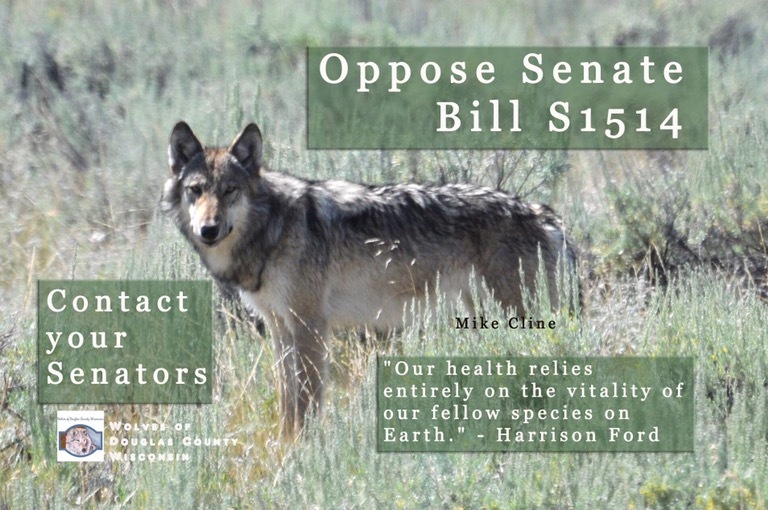 Please write your Senator today urging them to oppose S. 1514. It’s no wonder the Democrats are losing elections. Three Democratic Senators, including Senator Tammy Baldwin, proposed this bill. Shame on them!